Hello. Gavin here . Today we are looking at another new camp called Eco Team. 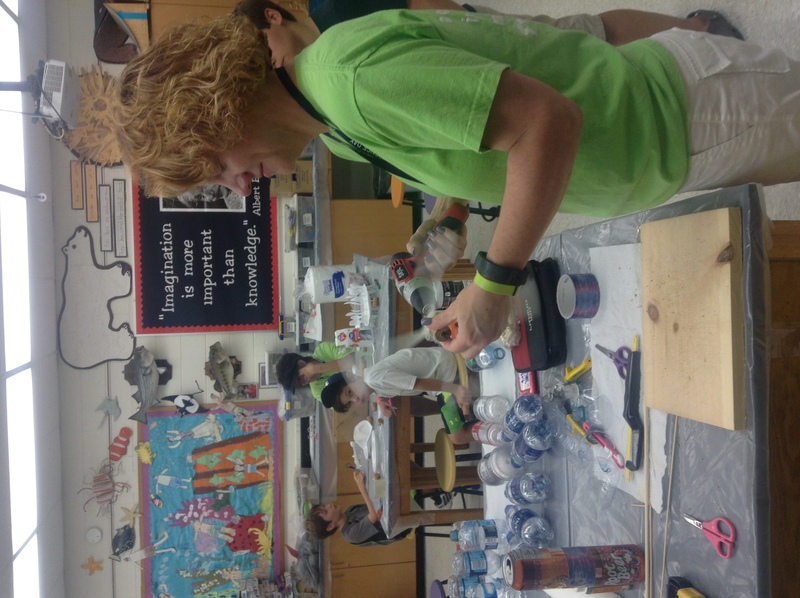 This camp is to help campers learn about renewable and nonrenewable forms of energy. 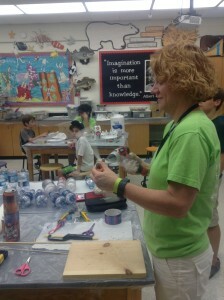 Campers use recyclable cans and items to use for building instead of paper. Today they’re making a wind turbine.